Established in the year 2007, at Delhi, Welding Automations Technik is an authorised distributor of Air Liquide Welding France for their OERLIKON range of Products which include all range of welding consumables, manual and automatic equipment & Spares. 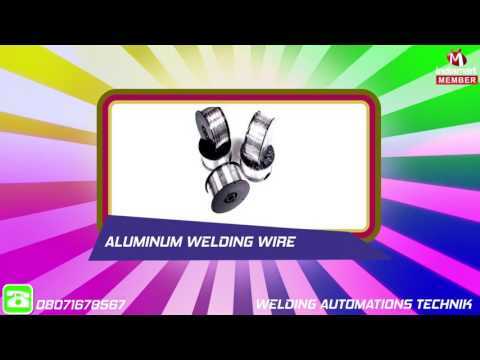 We are also importer and stocking of world renowned companies in field of Aluminium Welding Wire. Zinc Thermal Spraying and world Class Brazing Products Wire. Our products are highly accepted in the market due to their world class Brand and attributes such as, easy to use, low maintenance, sturdy construction, rust proof, longer service life and reasonable prices. These products are developed by our principals using the sophisticated technology and optimum quality of raw material. Our offered products are accessible in diverse length that meets on customers demand. To make these products, our principals have made a state-of-art manufacturing unit that is embedded with most sophisticated technology, tools and machines that gives consistent performance in manufacturing processes.